Trend alert: Yoke sweaters are having a moment. Jewel-bright shawls are the perfect three season cold-buster. The classic log-cabin pattern gets a modern update. The secrets to knitting fabulous cables. We show you how. Crayon-bright stripes will make your kids the envy of the playground. Cheerful colors and clever tools abound. 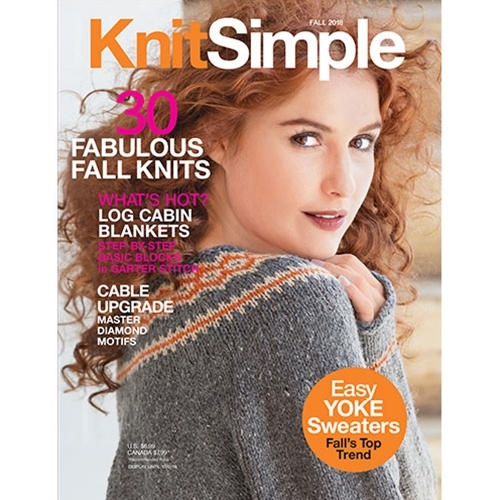 Hand knits for babies, creating a colorful home, lovely lace, knits for him and her, and the “ultimate” knitting book. Nicky Epstein’s cowl, hat and mitts add panache to your fall wardrobe.